What happened at Boxed — and has occurred elsewhere — suggests that widespread fears about automation and job loss are often misplaced. Automation has actually helped create jobs in e-commerce, rather than eliminate them, and stands to create more in the years ahead. By accelerating delivery times, robotics and software have made online shopping an increasingly viable alternative to bricks-and-mortar stores, and sales have ballooned at online retailers. The surge in e-commerce has required the rapid build-out of a vast network of warehouses and delivery systems that include both robots and human workers. The robots didn’t take jobs from people, because many of the jobs didn’t exist before. Newer robotic technologies do loom as a threat to some e-commerce jobs. Startup robotics companies are developing robot arm prototypes, for example, that can pick goods from shelves. Those devices may replace some workers over the next decade. But the explosion of e-commerce and the ease of automation are leading e-commerce companies to build more warehouses. So even if each warehouse employs fewer workers, the proliferation of new warehouses is projected to generate hiring across the industry. In the meantime, jobs have been lost at storefront retailers, which have suffered under the e-commerce onslaught. Venerable chains such as Toys “R″ Us, RadioShack, and Payless Shoesource have all filed for bankruptcy this year. There are widespread fears that things will get only worse for the nation’s 16 million retail workers. Self-checkout kiosks and experimental stores like Amazon’s Go , which has no cashiers, could theoretically eliminate millions of retail jobs. But worries about a “retail apocalypse” have missed a more important trend: E-commerce actually leads to more jobs by paying people to do things we used to do ourselves. When people shop online, tasks that once filled their days — driving to a store, searching through aisles for a product, bringing it to a cashier and paying for it — are now done by warehouse employees and truck drivers. People spend less time shopping than in the past, research shows. Joe Song, an economist at Bank of America Merrill Lynch who has studied government data, has found that working women are spending less time shopping — nearly 25 hours less per year compared with a decade earlier. Song attributes the time savings mainly to e-commerce. Families increasingly outsource shopping to e-commerce employees, just as many have long outsourced other household tasks to child care workers or house cleaners. In each case, jobs are created. That means the bankruptcies and store closings in the retail sector aren’t the complete picture. While jobs have been lost in stores, many more have been gained from online shopping. Michael Mandel, an economist at the Progressive Policy Institute, calculates that the number of e-commerce and warehousing jobs has leapt by 400,000 in the past decade, easily offsetting the loss of 140,000 brick-and-mortar retail jobs. Mandel points out that it’s a lot like what happened more than a 100 years ago, when Henry Ford’s installation of assembly lines — an early form of automation — helped reduce the price of cars, which boosted demand so much that Ford needed more workers. Robots have displaced many manufacturing workers in the past two to three decades, enabling factories to produce more with fewer employees. Yet e-commerce and warehousing are growing far faster than manufacturing is — a crucial difference that lessens the impact of automation. E-commerce sales are surging roughly five times as fast as storefront retail sales, according to market research firm Forrester. By 2022, they’re expected to account for 17 percent of all retail sales, up from 13 percent this year. Walmart, the world’s largest retailer, recently opened its sixth e-commerce campus near Orlando, Florida. Like the others, it includes a million square foot warehouse. Walmart is also expanding its online grocery pickup service to 2,000 stores, double the 1,000 where it is now available. It allows Walmart’s customers to order groceries online, but requires more workers, not fewer. Ravi Jariwala, a spokesman, says Walmart has created a new job classification — “personal shopper” — to do what customers once did themselves: Pick and package orders. And XPO Logistics, which ships mostly appliances and other heavy goods, has hired 3,000 warehouse workers in the past year to keep up with growing e-commerce, bringing its total to 26,000. 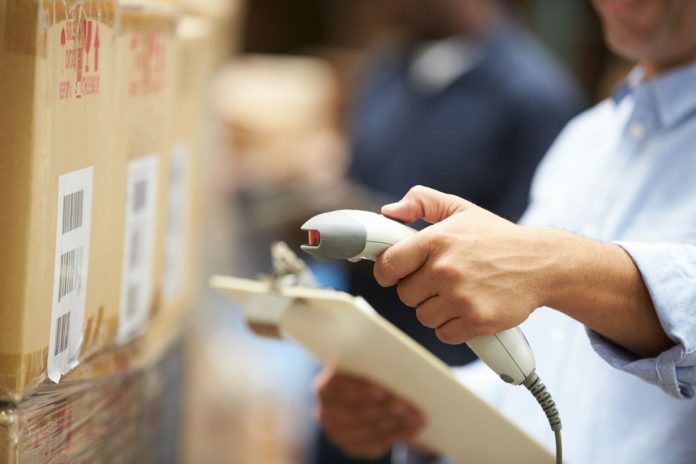 It’s adding a million square feet of warehouse about every four to six weeks, says Ashfaque Chowdhury, president of XPO’s supply chain in the Americas and Asia. Chowdhury says items that many people wouldn’t have felt comfortable buying on the internet not long ago — from refrigerators to treadmills to furniture — are becoming routine online purchases. And the company is also planning to open a million square foot warehouse in the Midwest exclusively to handle returns. All these trends have been helped by automation’s ability to hold down costs, such as Walmart’s use of drones to help track its warehouse inventory. Still, a tour of Boxed’s gleaming new warehouse in Union makes it easy to see why people worry that automation costs jobs. Everywhere you look you see machines and rows of neatly organized pallets of goods. But not so many workers. Through the 140,000-square-foot building, two miles of conveyor belts quietly whisk plastic bins containing customers’ orders. One machine stamps mailing labels on boxes. Spread thinly along the conveyor belts, roughly three dozen workers operate on the floor. Among the first stops on the conveyor is a four-story-high robotic contraption known as “Perfect Pick.” It enables one employee filling orders to choose from 700 items. An automated container, the iBOT, zips up and down and back and forth among the Perfect Pick’s shelves, where products are stored. The iBOT retrieves small items — health and beauty products and snack foods — and brings them to the employee, who places them in bins. At Amazon’s much larger warehouse in Baltimore, there are more workers, but also a lot more robots. They lift shelves of goods and roll them to the company’s pickers, who select items that customers have ordered before the robots return the shelves to storage. Even so, there are still jobs at both warehouses for people to do. At Boxed, the bins glide from the Perfect Pick to other employees, who select additional items to complete an order. A separate group, the packers, puts everything in pastel-hued boxes for shipment. Fitting multiple items of different shapes and textures into a box is something people still do much better than robots. Barbara Ward, 56, is a packer at Boxed, and like all her colleagues, she writes a thank-you note for each order she packages. It’s part of Boxed’s effort to preserve some aspects of the conventional shopping experience. When a customer has ordered diapers, a packer might write a congratulatory note. There are also “problem solvers” who position themselves near a scale on a conveyor belt that weighs each package as it whizzes by. If the weight isn’t consistent with what’s supposed to be in the box, the package is set aside for a problem solver, who opens the box to see whether the order was filled correctly. The warehouse covers the equivalent of 17 football fields and was opened in 2015, one of the first to be designed with robots in mind. Still, it employs 5,000 people. Amazon and Boxed say their automated warehouses actually employ more workers than their non-automated warehouses do, because they handle far more volume. Mena, 34, vastly prefers Boxed’s new facility to the manual warehouses where she previously worked. At one warehouse, owned by a medical equipment manufacturer, Mena says she would walk 15,000 steps a day to fill orders, according to her Fitbit. That’s about 7.5 miles. And with Boxed growing rapidly, she was promoted to trainer less than a year after starting as a temporary employee picking orders. Ward, meanwhile, says she expects to be able to work longer at Boxed because her job is less physically demanding, thanks to automation. Jobs are growing off the warehouse floor, as well. The explosion of online commerce is also building demand for higher-paying jobs in software and robotics. Nearly 14 percent of software job listings are now posted by retailers, according to data analyzed by Glassdoor, the job recruitment website. That share has doubled from 2012, says Andrew Chamberlain, Glassdoor’s chief economist. And the software jobs are not as concentrated in places like Silicon Valley. Dallas, for example, has experienced a surge in software jobs, partly because of greater hiring by Home Depot. Amazon’s career website lists nearly 5,000 open software jobs and 250 in machine learning, a type of artificial intelligence. Walmart is advertising 475 software and technology jobs, including data analysts, programmers, and software engineers. These aren’t folks who just maintain websites. When a customer shops on Boxed’s website, software calculates what size box will be needed and how much empty space it will contain, Zumpano said. Just before checkout, the website will recommend products that would fill the box’s empty space, yet not so many that the order would require another box. Automation and robotics will only get more sophisticated in the future, which will threaten some jobs. Amazon runs an annual “picking” contest in which mostly startup firms and universities compete to see which team’s robot can most efficiently pick items from a shelf and place them in a box. But it could take several years for such robots to be put into widespread use. For now, they work mostly with items in boxes and other rigid shapes, Wulfraat says. They can’t yet handle bulkier items such as basketballs or softer items like clothes. “Robotic hand technology is still pretty far off,” Boxed’s CEO, Chieh Huang, says. The company recently installed robots in its three other manual warehouses to transport goods to workers, as an alternative to conveyor belts. They didn’t lay off any employees. And Mandel argues that if additional automation, such as robotic pickers, lowers costs further, it could create new markets for products and services, such as custom-made goods. “You’re going to need distribution facilities in the backyard of every city,” Wulfraat says. Those facilities will be smaller and cheaper and won’t be worth fully automating. Automation is also more likely in the coming years to make up for labor shortages rather than replace workers, Wulfraat says. Companies such as Target and Walmart have had to announce widespread pay increases in the past two years to attract and keep employees, a sign of a tighter job market. Many warehouse operators he works with anticipate the problem will only grow worse as baby boomers age and increasingly retire, Wulfraat says. Any warehouse workers displaced by automation will easily find jobs elsewhere. “I don’t see hundreds of thousands of workers unemployed and on the street,” he said.